"Hello..this is 911..What can I do for you?" (frantic voice) "911? Oh yes! I really need your help. My situation is the pits...Please save me"
"We would do our best of course. Tell us what your problem is?" "The lady of the house is choking me. I can hardly breath. I am suffocating to death"
"Tell us the address and our emergency team will arrive shortly"
"Thank you so much.! Too much of stuffing is never good....."
"Stuffing?...I did not get you..."
"I meant food! The lady stuffs me with Food! I know I am made specifically for that..but this is going too far"
"(confused) Made for that? One sec - before you explain, can I have your name for the records"
"Name? What name? - I don't have a name"
"(confused all the more) But..but what do ppl call you! Clearly you must have a name!!!!!" "Dunno about the name, but the lady calls me as "her fridge""
1. Preheat Oven to 350F. 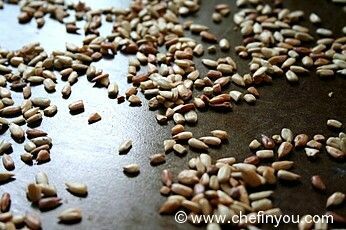 Spread the sunflower seeds on a baking sheet and toast them for about 5-8min. Set aside. 2. In a saucepan, bring 2 cups of water to a boil. 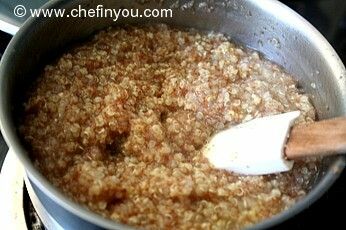 Add the teff, amaranth, quinoa, millet along with 1/4 tsp of salt. 3. 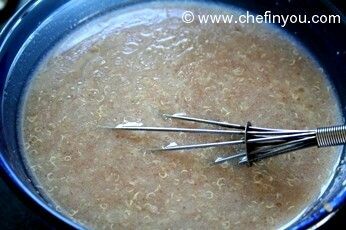 Reduce the heat and simmer, covered, for about 30-40 minutes or until the water is absorbed. 4. 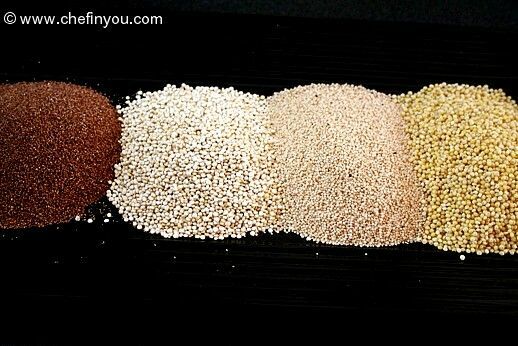 Transfer the grains to a bowl to cool. 5. 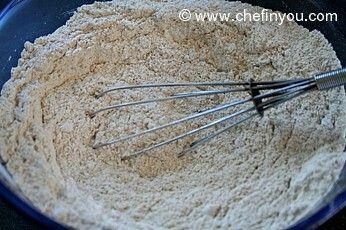 In another large bowl, mix together the flour, seeds, baking soda, baking powder and the remaining salt. 6. 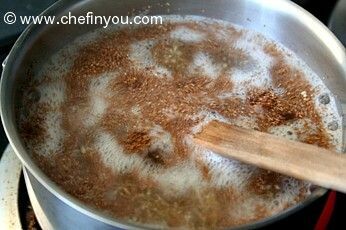 Add the remaining 1-1/2 cups water, oil and vinegar to the cooked grains and whisk well. 7. 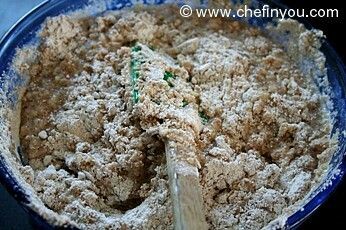 Fold the grains into this mixture to form a thick batter. Handle it gently, few lumps wont matter. 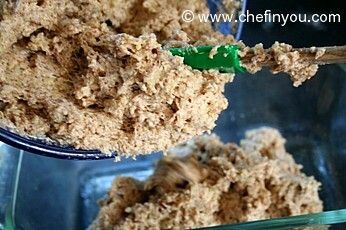 Over mixing will not give a fluffier/lighter bread. 8. 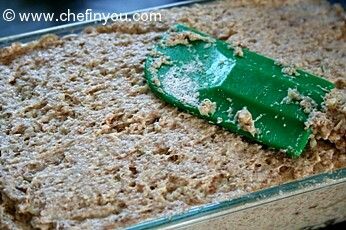 Pour the batter into a greased 8 by 4 inch loaf pan (or a square dish works too - whatever your preference). 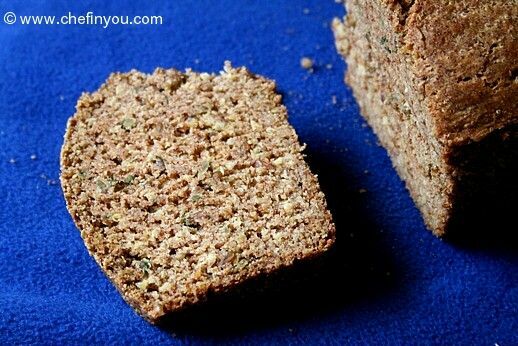 10. or until a toothpick inserted into the middle of the loaf comes out clean. Allow it to cool for 30 minutes before slicing. Serve it warm. It made a hearty breakfast for us in the morning the next day. 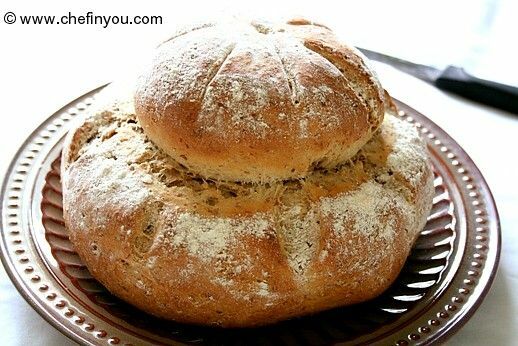 Although it was good enough for starting the day, I personally think that this would make a great sandwich bread. Well, you said to go ahead and try honey with another person, so I did. Yuck! Way to much baking soda! 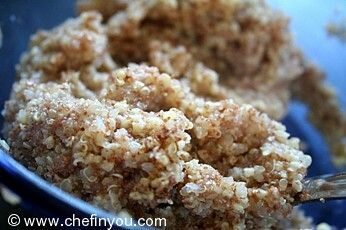 I used honey instead of cir vibegar, not sure who that would affect the flavour, it's too bad, cuz I like all the grains! 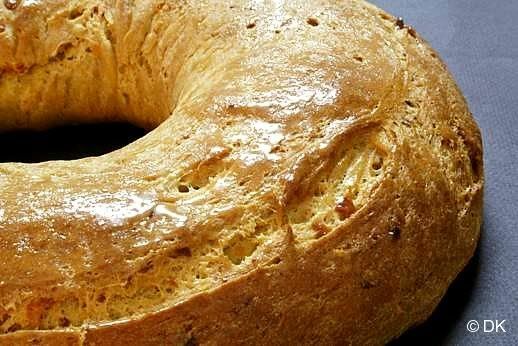 I originally made this bread per recipe and it came out very dry with VERY bitter aftertaste... I figured out it must have been the baking soda. So I tried again but this time I've added only 1/2 tsp of baking soda and instead of all 9 tbsps of oil- i added apple souse and 1 tbsp of oil. It turned out VERY moist and delicious! I cannot stop eating it. Thank you! If you have a bitter aftertaste, It is possibly from the quinoa. Quinoa has a natural pesticide that is bitter, so it must first be rinsed before use. Hope that helps with the bitter taste! The recipe appears to be what I am looking for as my graddaughter is allergic to eggs. She is also allergic to most grains except for oat. 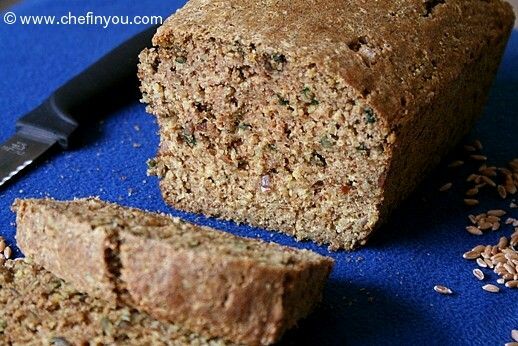 Can we substitute oat or quinoa flour for the spelt. Not sure what teff and millet are. Any help would be appreciated. Thanks. Unfortunately No :( I can do with that info too! Hi, I just fell in love in this recipe and I finally got all the ingredients and I made it... It looks just like on the picture, it's perfect... But it has a very bitter aftertaste (is that normal?) It does taste great until the end.. then it's scary bitter... Help - what did I do wrong? Thank you! 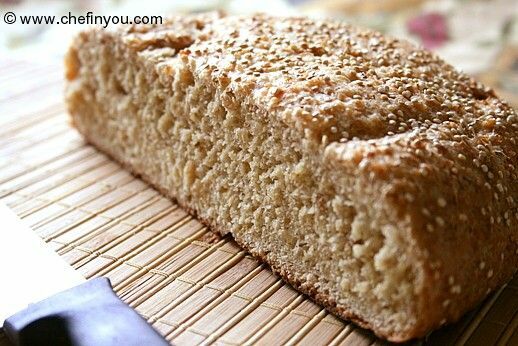 Just wondering if anyone has tried freezing this bread and what the results were? It looks amazing! You should get the poster boards (I think that's what it is called, or chart paper in India) available in different colors in Dollar store. That's what I have. 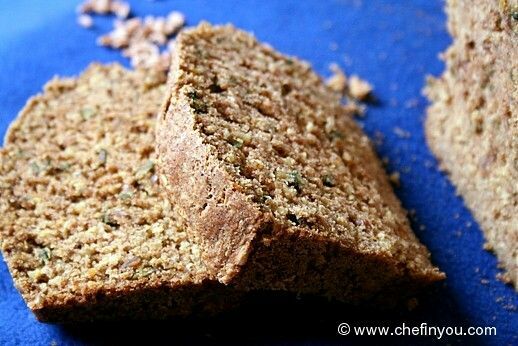 Oh no, I don't think the bread looks ugly at-all.. the first picture screamed 'healthy' to me and when I glanced at the ingredient list, sure enough how can teff, quinoa, amranath and whole wheat come together and make something thats even remotely ugly :D Looks healthy and delicious to me! 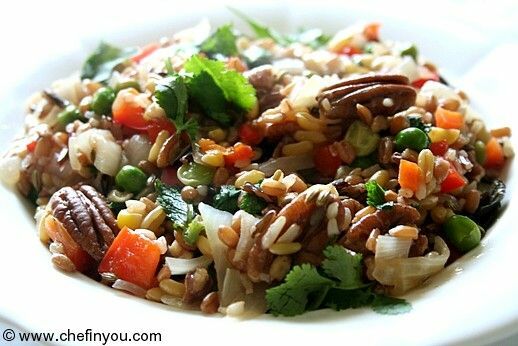 First time I stumbled over your blog, this is a great space with such healthy and delicious recipes that I'll be sure to visit this often. Keep up the good work! Hi DK, Im pavani krishna. I was searching for a recipe and here i landed up in your site.Amazing recipes u have got, So many new recipes and UMM yummy. Great work!!! I recently started my blog, cooking too. But blogs like yours has given me so much of inspiration to cook new recipes. Gulab Jamuns are so mouthwatering, tips are really useful.My best wishes to u and ur blog. TG, 911 is not in India.Else it would have been the same scene here and I would be in jail now (especially when they find that I have turned a spare bedroom into a walk -in pantry :! 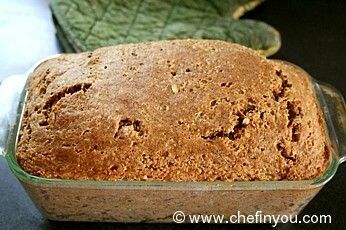 : ) I am always under the threat of "I will throw everything out " and have learnt to have a deaf ear :-P Love the bread very healthy and yeah not eye catching as you have said.Hats off to you for trying this.I never dream of buying amaranth flour or spelt for that matter. 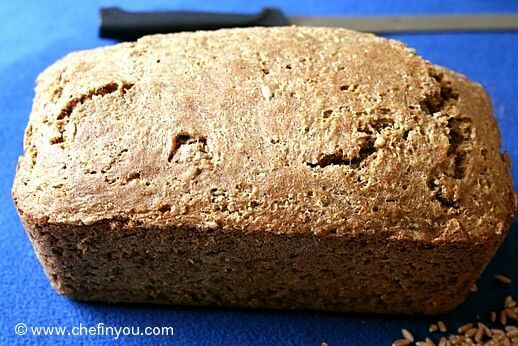 Oh that loaf looks very nice...Need to try this some day..
For all the complaints about the bread not photographing well, I really like the last picture... :) I would love to make this - with some honey instead of cider vinegar. Do you think that would work? I am doing a fridge cleanup as well. I have successfully stayed away from grocery shopping except dairy and eggs for about 10 days. 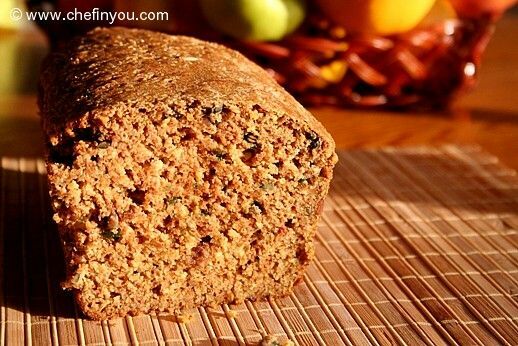 I find a lot of treasures inside my freezer :-P This bread is really hearty n nutritious Dhiv. Long since I baked a bread at home! I exactly know what you are going through Dhivi. My freezer is a mess and I'm considering buying a chest/upright freezer. I have a store nearby called Bulk Barn, it is like a cheaper (price wise) Whole Foods. Everything is available in bulk, so you can get how much ever you want but still my freezer is full. I go to that store so frequently that my husband tells me they are going to think that I work there and are going to pay me. I too was thinking that the bread doesn't photograph well after seeing the first picture. Maybe a different background should have been better. That looks very wholesome indeed. 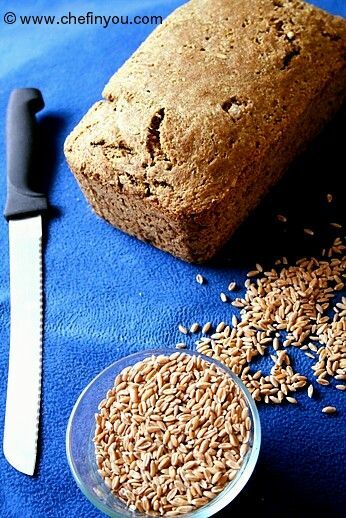 I love spelt flour and use it very often in my cooking.